"Most amazing photographer I've worked with." ​"Sunshine was so wonderful to work with! We have two boys ages 2 & 4 and she not only captured their personalities beautifully, but she also managed to get multiple family pictures with both of them smiling! Who knew our family could all smile and look good at the same time?!" 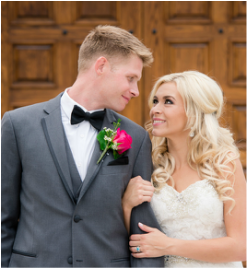 - Chelsea C.
​"I loved working with Sunshine and I loved my final shots! She is very talented, professional, and easy to work with! I wanted a creative outdoor “headshot” session for marketing and my website. I got a great final product!" - Tobi T.
"A truly amazing experience! I would recommend any senior looking for a photographer to look to Silver Sparrow because she truly makes the whole experience fitted to your personality." ​ "Senior photos turned out awesome and it was such a fun experience!!!" - Kim R.
"We had wonderful family photos at Red Rocks done over the holidays. My family was so surprised and will cherish those photos for years to come. I would absolutely work with Sunshine again. She is kind, thoughtful, and a great photographer. We had a good time in spite of freezing temperatures and high winds!" - Alyssa D.
"Sunshine was an awesome photographer who I would recommend to anyone. She was very sweet, and patient to my one year old who we were trying to get pictures of. She didn't care about time but wanted to make sure we got every shot and location wanted. She was responsive and quick with photos. She was great!" - Nicole W.
"Sunshine was fantastic with my kids and made them very comfortable during the photo shoot. I loved the pictures and she was a pleasure to work with." - Lisa M.
"I received the most beautiful family photos from Silver Sparrow Photography. Sunshine was a pleasure to work with and was great with my kids. I recommend Silver Sparrow Photography to everyone looking for excellent professional photos." - Ryan F.
"Sunshine Lump is a great photographer! She is very outgoing and will try anything to make your photography session comfortable! Highly recommend!" - Jessica S.
​"Sunshine was an absolute gem to work with. 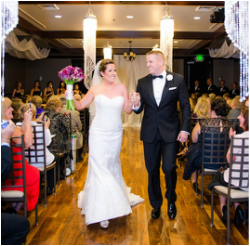 I think I was a pretty easy and laid back bride but I know that if I would not have been, she still would have been easy to work with and very understanding, accommodating. Our family and friends are a fun - sometimes crazy bunch - Sunshine and her second photographer Ashleigh fit right in - they weren't the 'awkward photographer creeping around the wedding'. Not at all. They interacted with the group, had fun and really got amazing shots because their energy was positive and fun!" "Sunshine Lump is the most professional photographer my husband and I have worked with. She is always on time and very organized. She enjoys her job so much and is extremely passionate! She made us feel comfortable and relaxed. She is an all around amazing person in general. I highly recommend her. Sunshine's personality is one of the best I've come across. Her work says it all!!!!" - Martella F.